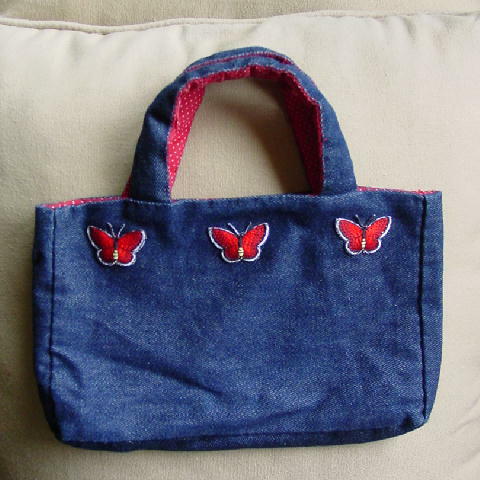 This cute little handmade blue denim purse is reversible. The two 9 1/8" long handles are padded. It has a side to side open top with 6 red butterflies which are outlined in white (3 on each side). 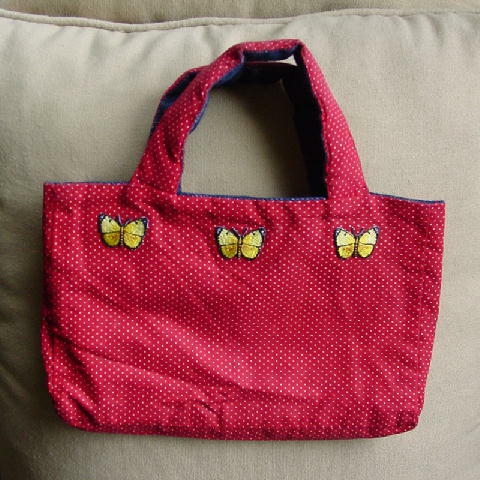 You can turn the purse inside out and have a bright red purse with tiny dots and six yellow butterflies outlined in black.